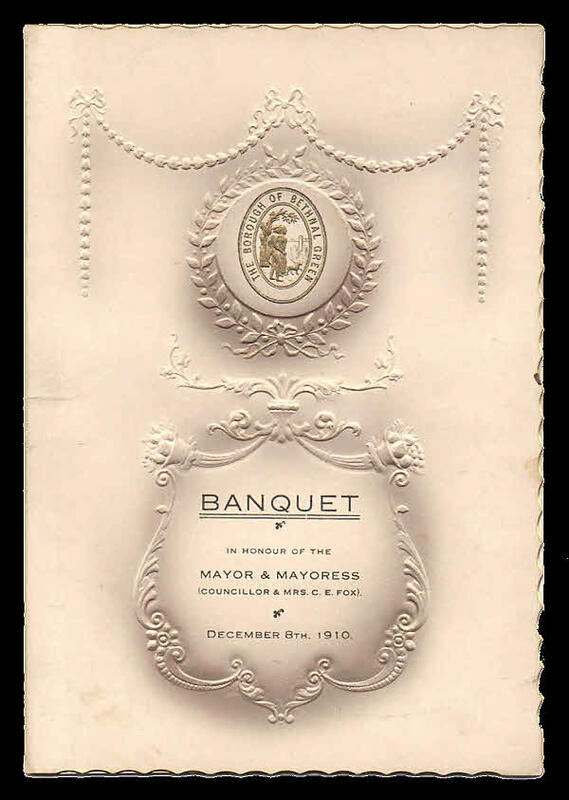 Programme of a banquet organised December 8th 1910 for the 1910-1911 Mayor of Bethnal Green, Charles Fox. The banquet was organised by "Former Mayor" Alfred Barnard (Mayor 1908 - 1909) because Charles Fox had also been Mayor for the previous year, 1909 - 1910 (and also 1901 - 1902 and 1906 - 1907). 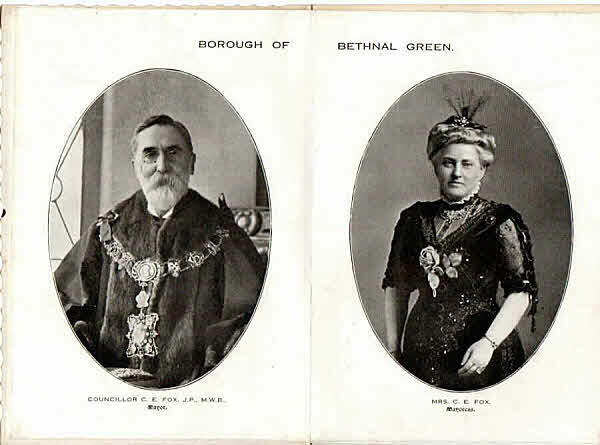 Repeated mayorships seem to have been a feature of local politics in all three of Tower Hamlets' constituent boroughs in the early part of the 20th century.